Professional workmanship, friendly people, affordable pricing. Appliance Repair Service of Palmetto is a smart choice for appliance repair in Palmetto, Ellenton, and Parrish and Terra Ceia. Same day service on all appliance brands, gas and electric. 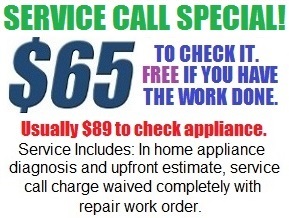 Immediate service for refrigerator repair. Fast same day service for washer, dryer, oven, dishwasher, water heater, ice maker, and microwave repair. Call Appliance Repair Service of Palmetto to speak with a live operator. We’ll have an appliance repair man on his way within minutes! Since 1978, we have been providing quality appliance repair service to our customers. Our staff is polite, careful, and on time. We practice care and courtesy while servicing your appliances to insure that you and your home are always respected. We are punctual and mindful of your schedule and put a priority on being on time. All of our technicians are skilled professionals and have been repairing appliances for years. At ARS Palmetto appliance repair is all we do and we have what it takes to get your machine repaired quickly and operating like new again. 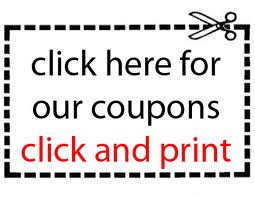 Expert Service on: Whirlpool, Sub Zero, Sears, GE, Frigidaire, Amana, Jenn Air, Kenmore, Kitchen Aid, Roper, and all other brands. Thank you from Appliance Repair Service of Palmetto! Residential home appliances, refrigerators, and washers and dryers are a great time saving modern machines. Most of them are very well made and long-lasting. Unfortunately, one day appliances may stop working. You come home, and the food in the refrigerator is warm. You look at the washer and realize that the washing machine is still full of water or never started. The dryer is not heating and runs for two hours and the clothes not dry. There are a few things you the consumer can check when checking appliances which may not be working properly. If there is a malfunctioning refrigerator or appliance you can try to tell what’s wrong with it. Are there any signs of life? Are the lights on inside? Is the refrigerator making any kinds of noises? Are the controls set to the mid-setting? If there are no signs of life make sure that the plug is correctly plugged in. Also make sure the controls aren’t set all the way to one side or the other but are in the middle. Has the refrigerator been pluged-in for 24 hours? All refrigerators need to run at the mid setting for at least one whole day. If the lights are on the refrigerator seems to be running then it’s time to call the repair man. Sometimes refrigerators have a problem with the defrost. Look on the back walls and see if there is a snow accumulation. This accumulation of snow means there automatic defrost has not worked. It is not possible to defrost this machine manually at this point. Unless the customer disassembled the back walls. Modern refrigerators use a totally automatic defrost. Temporary thawing the snow will allow the machine to work for 3 to 7 days. Unfortunately, the problem will return. Try to determine what brand of refrigerator it is and what is the general area of malfunction. For instance; Subzero food warm, Whirlpool refrigerator not cool. GE refrigerator full of snow. KitchenAid refrigerator clicking. Amana refrigerator door not closing. Frigidaire refrigerator ice melting. Sears refrigerator ice blocks. Sub zero refrigerator not making ice. SubZero refrigerator service light. Also look for any fault codes are flashing lights and the letter F Followed by some numbers. Write down any fault cares in make sure they are accurate. These fault codes or F codes will help the technician to repair the machine properly. Try unplugging the machine for 5 min. Restore power and try running the machine. If the fault codes return it’s time to call the repair man. In the case of the washing machine the following issues may arise. Whirlpool washer not spinning. Sears washer not draining. Washer timer quit. Frontload washer not draining. Washer fills slowly. GE washer overflows. KitchenAid washer noisy. In the case of the dryer, you may have Sears dryer no heat. GE dryer squeaking. Whirlpool dryer noisy. Whirlpool dryer not tumbling. Or any type of dryer not heating, not turning, noisy, squeaking, not starting, timer not advancing. Some common problems with dishwashers are the following. Whirlpool dishwasher door heavy. Or drops down. GE dishwasher no drain. KitchenAid dishwasher not turning on. Other general problems are GE microwave oven not cooking. Hot water heater cold not hot. Water heater runs out of hot water too fast. GE oven not turning on. GE oven fault codes. GE oven no bake. Frigidaire oven not cooking. Oven heating element. Ice machine not making ice. If you have one of these or any other problems and you live in Ellenton, Palmetto, Parrish, or Terra Ceia call us at 941-721-8900 and we will have a repair man out same day or next day. We carry most parts right on the truck. The parts we don’t have we order and come back the next day. Most of the time the repair man will repair your machine on the spot. He will only charge you a service call charge if you do not have the repair done. Otherwise the service call charge is free.